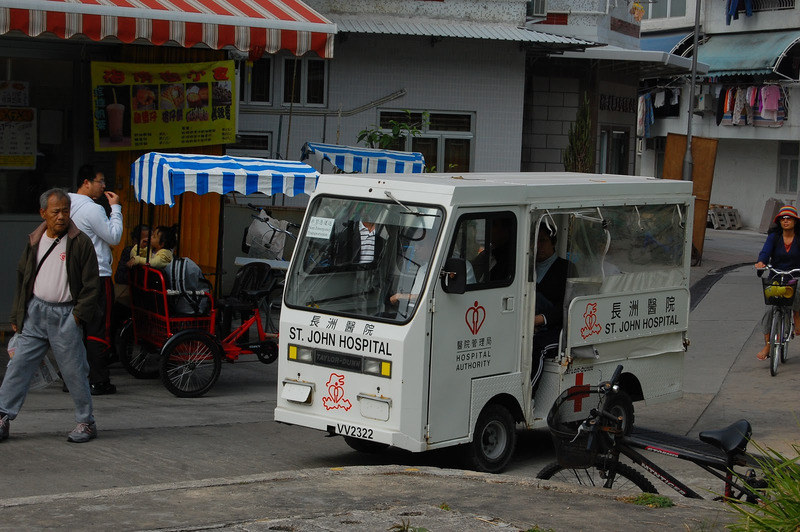 Hong Kong loves a good shindig! That’s a given. In the last couple of months there’ve been at least half a dozen festivals around town, including one of the biggest art festivals in the world – Art Basel. But I figure there’s enough info flying around on that for you to get a ‘google’ handle on without my two cents worth. 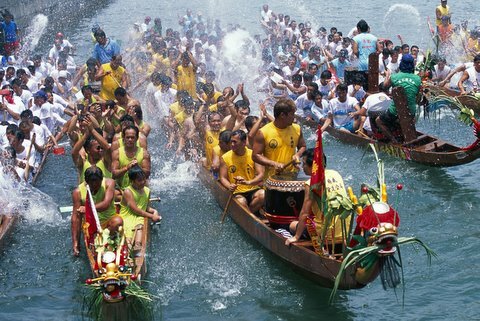 There’s also Le French May bringing a touch of Paris to Asia’s Manhattan with a plethora of baguettes, croissants and enough l’eclair au chocolat to keep your gym membership alive, not to mention the ever popular and action packed Dragon Boat Carnival. The biggest in the world, this baby is renowned for revellers, beers and plenty of cheers! But what really caught my eye and not just for its annual ‘Bun Festival’ (which as one of the world’s top ten ‘quirky’ festivals is a whole lot of fun) is a little island just south east of the hustle and bustle of Hong Kong’s concrete jungle — it’s called Cheung Chau Island, meaning Long Island and yes… it’s an excuse to bring you some pretty pictures (most of which I can’t take credit for). Long Island it’s not though – stretching just ten kilometres, it’s one of 263 islands that skirt the biggest of them all – Hong Kong Island. But like a lot of things in life, don’t be fooled by its size — this pocket-sized paradise packs a mean tropical punch! 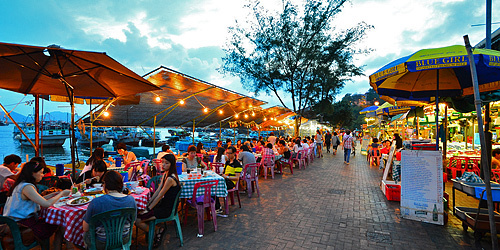 Inhabited by locals for longer than most people have been wielding chopsticks in Hong Kong, historians put Cheung Chau at at least 7000 years old. These days around 23,000 people squeeze on board the duly nicknamed ‘dumbbell’ (because of its shape) but 100 years ago this once thriving fishing village had more residents living on Junk boats than on land. First impressions are of an island that still bears the footprints of a charming way of life that existed well before civilization. 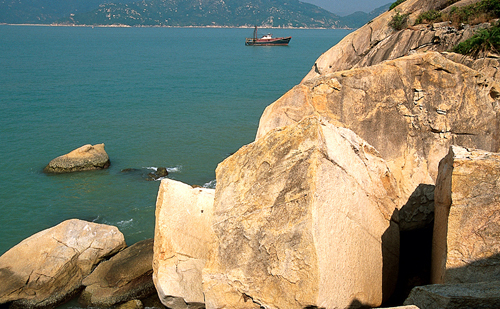 Laced with cobblestone streets and narrow lane ways, Cheung Chau has all the hallmarks of a quaint European village. Littered with temples, seafood restaurants and sandy beaches, a 30 minute boat ride from Hong Kong, the island today is ripe for tourists. But truth be told, there’s more to this treasure island than meets the eye — it quite possibly has more history than could be deemed appropriate for such a small archipelago. 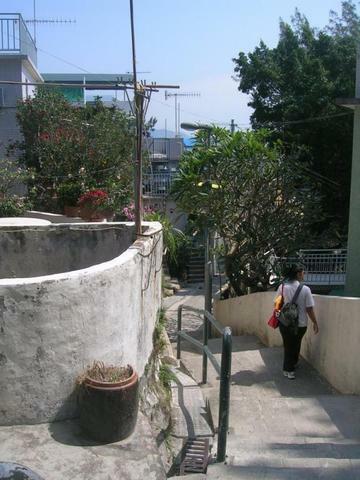 With a robust community that has well and truly stood the test of time, most locals today stem from generations of family that have long called Cheung Chau home. And it’s an island that hasn’t been immune to hardship… in the 19th Century a plague almost devastated the tiny sanctuary. 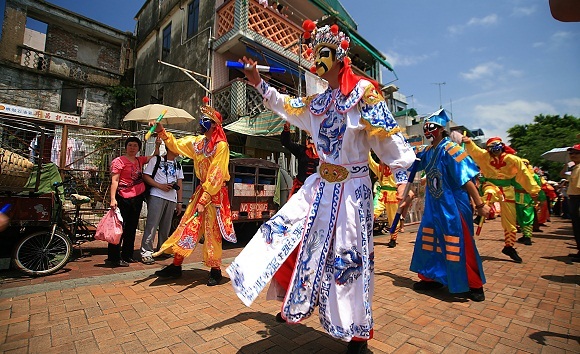 To save Cheung Chau, local fishermen travelled to mainland China to seek out the holy statue of Pak Tai (Emperor of Heaven) and bring him back to the island, desperately hoping his power could bring them safety and prosperity. Guess what? Legend has it, it did. And so it was the beginning of the famous Bun Festival. According to folklore, the epidemic disappeared after the event was staged and from then on it’s been held every year, without fail. That said, there’s another school of thought that the festival originated after a ceremony to placate the ghosts of victims of pirates who used to terrorize the island in the 18th Century. Before the festival begins, residents on the island purify themselves by having a bath and eating a vegetarian diet for three days. Many fishermen cease to fish. Back in the day, locals built an altar to honour Pak Tai and ward off evil spirits. 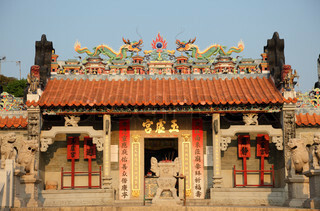 Aptly named the Pak Tai Temple, it’s now the oldest temple in Hong Kong. 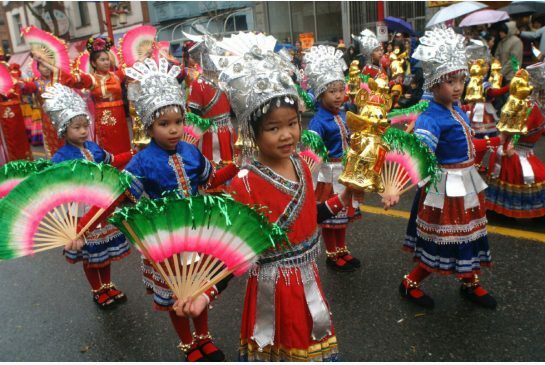 100 years later the same rituals are performed including a procession of courageous lions and magical unicorns dancing to the beat of rhythmic drums, along with the Piu Sik or Floating Colours parade which has become world famous! 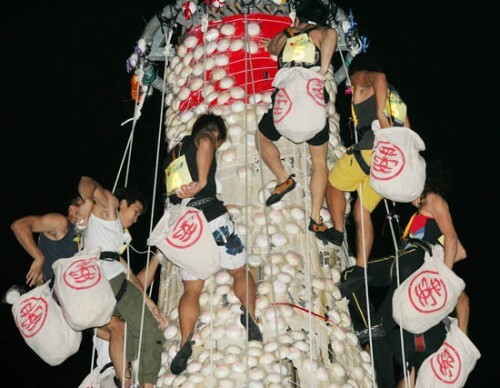 Then there’s the grand finale – as night falls, competitors stand poised at the bottom of an enormous 60 foot bamboo tower studded with lucky buns! On signal they scramble to the top and try to pluck off as many as possible. These days they are plastic, the traditional bun climb came to a tragic end in 1978, when a tower collapsed, injuring thirty climbers in the process. The event was then banned for the following 26 years. Reintroduced in 2005, the new event is somewhat tamer than the original and all climbers wear harnesses. Don’t worry if you’re not up for the climb, these holy buns symbolizing good luck and good health are now available on the ground for everyone. 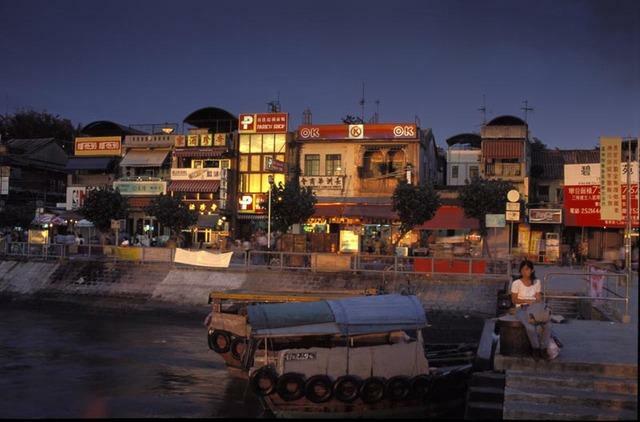 Cheung Chau is a fascinating island village where in many respects, time stands still, a place where legends live on and still waters run deep. What about you? Have you stumbled across a treasure chest in your part of the world? Where is it? I’d love to know.